Region VIII of the American Society for Clinical Laboratory Science is comprised of the Rocky Mountain state chapters of Colorado, Idaho, Montana, Utah and Wyoming. The Region VIII Council (composed of presidents and presidents-elect from the member states, a regional director who serves on the ASCLS Board of Directors, a secretary, a treasurer, and a student representative) hold three meetings each year to disseminate information, initiate projects, and discuss issues. 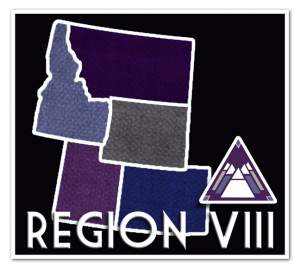 The work of the Region VIII Council is to serve as a resource to both the constituent state societies and the national organization. The states comprising Region VIII also sponsor each fall the Intermountain States Seminar, a well-known regional seminar in Jackson Hole, Wyoming. Nationally renowned speakers, top-notch exhibits, and great entertainment are annual highlights of IMSS. Be sure to join us in Jackson!